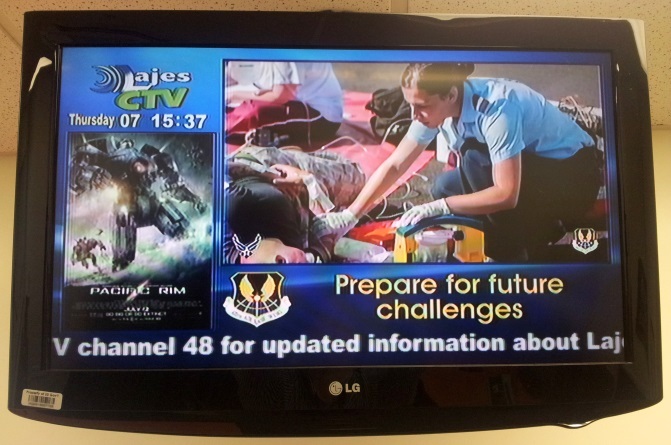 Lajes has 10 Cable Television services & Radio service, a WebTV and an off-base DTV channel. Press the GREEN button on your MEO remote and insert the number 209700. Click the (i) button to scroll down to programming and select the video you want to watch. Enjoy!